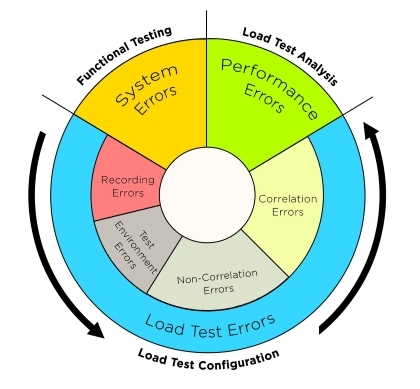 If a load testing tool cannot correctly complete all of your application transactions, then the performance reports you receive can seriously misinform you. What's worse is that many tools do not detect transaction failures, so you need to validate transaction completion manually. StresStimulus prevents this lack of accuracy because of its auto-correlation engine and "verify" functionality which are based on our proprietary traffic analyzer/composer technology. StresStimulus generates calibrated testing traffic that leads to your business transactions' completion regardless of their complexity. Web2.0 applications use dynamic server values, such as tokens, IDs, and cookies. For a load test to work correctly, a correlation script must be created to process such values. Otherwise, the application's integrity will be compromised, and the transactions will fail. 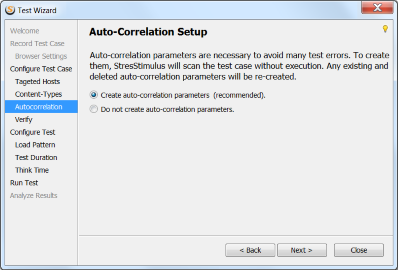 Correlation is the most complicated part of creating a test. StresStimulus solves the correlation challenge thanks to its powerful auto-correlation engine. It automatically generates the required script to handle virtually all of a servers' dynamic variables for all web platforms and application frameworks. Now you can spend less time making the test work and more time addressing performance. On rare occasions, additional parameters are necessary to finalize the configuration. 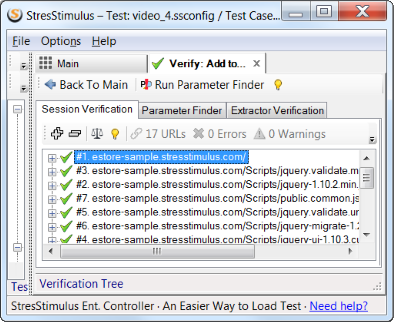 StresStimulus Test Case Designer includes a set of sleek gadgets, such as Compare Session Inspector, Parameter Finder, and Auto-Configurator, for high productivity script generation without writing any code. This allows to complete correlation and to create custom parameterization in minutes. Unlike any other tool, StresStimulus will make your tests free from all Load Test Configuration errors, regardless of the web platform framework or application complexity. While using StresStimulus is already the easiest way to configure your test, we understand that you should have the choice to save even more time. That’s why we included a full configuration service into the Premium Support plan, so you can spend less effort on creating test script and focus more on performance testing. By your request, we will configure and create error-free scripts for every one of your test cases. Not a customer? Not a problem. 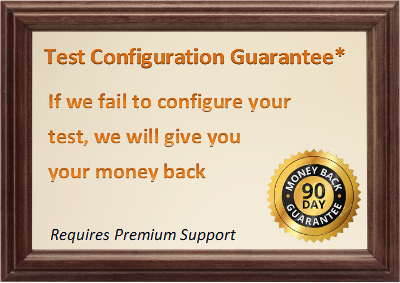 We will configure your test case at no charge even if you did not purchase a StresStimulus license. Register for a trial and then schedule your Free Test Configuration to get started. Need help with more test scripts? Check if you qualify for the Enterprise Evaluation Program to get multiple scripts configured free. *Requires Premium Support. Applies to permanent and annual licenses only. Covers scenarios with web browser clients only. Refund must be claimed within 60 days of your license purchase date.